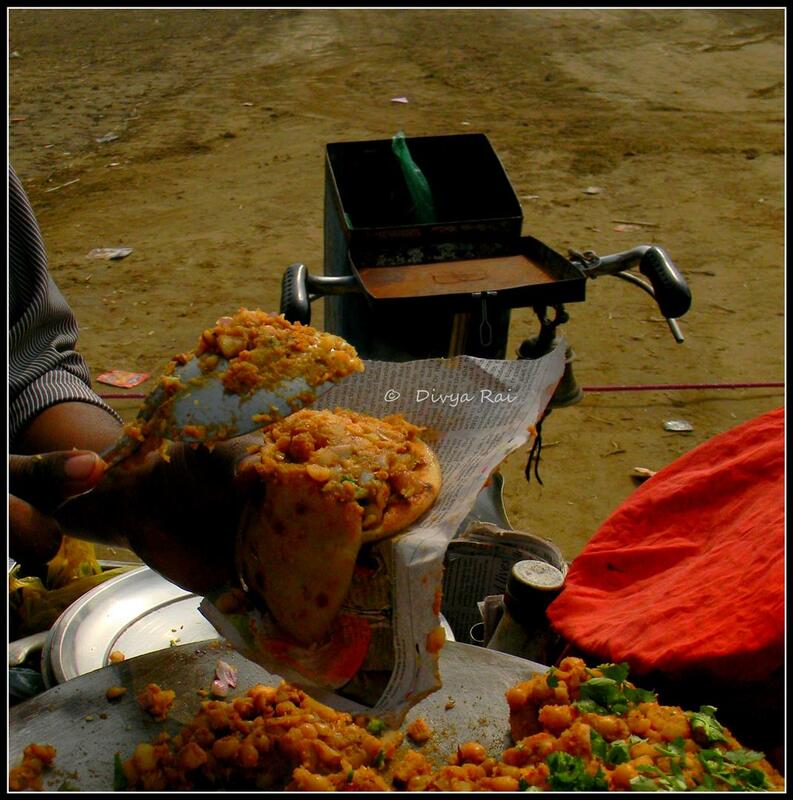 Came across this street-food in the rural areas of Punjab and simply loved the way it is done! 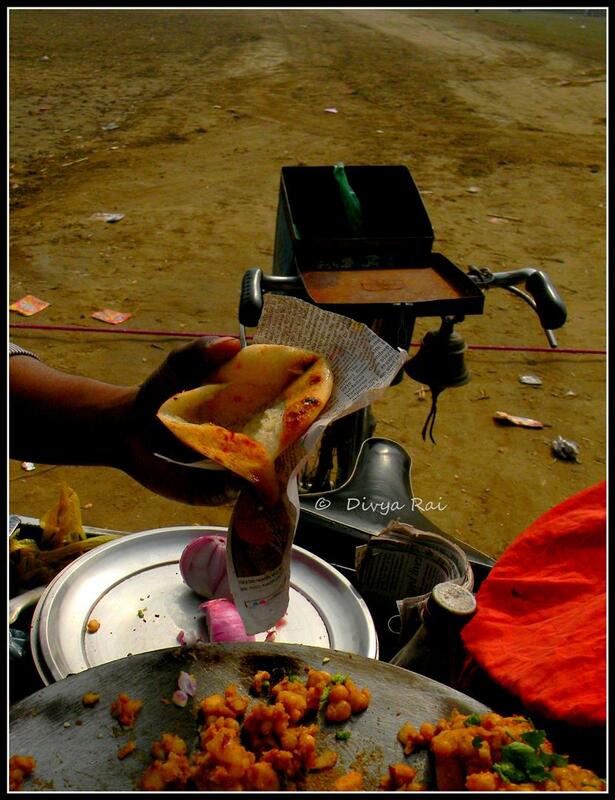 This is basically ‘chhola-kulcha’, albeit with a difference. 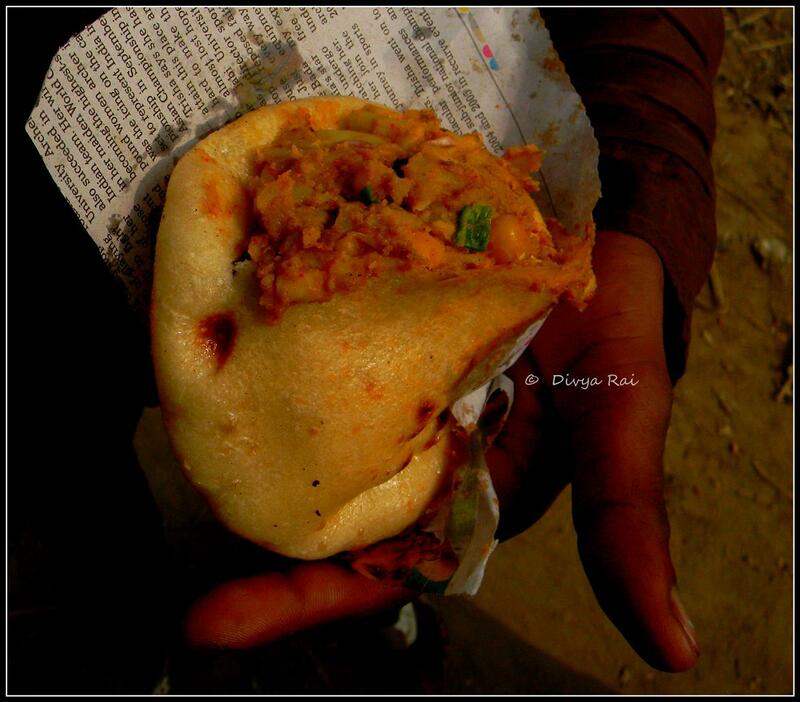 Chholey is stuffed inside the kulcha and then the combo is relished. 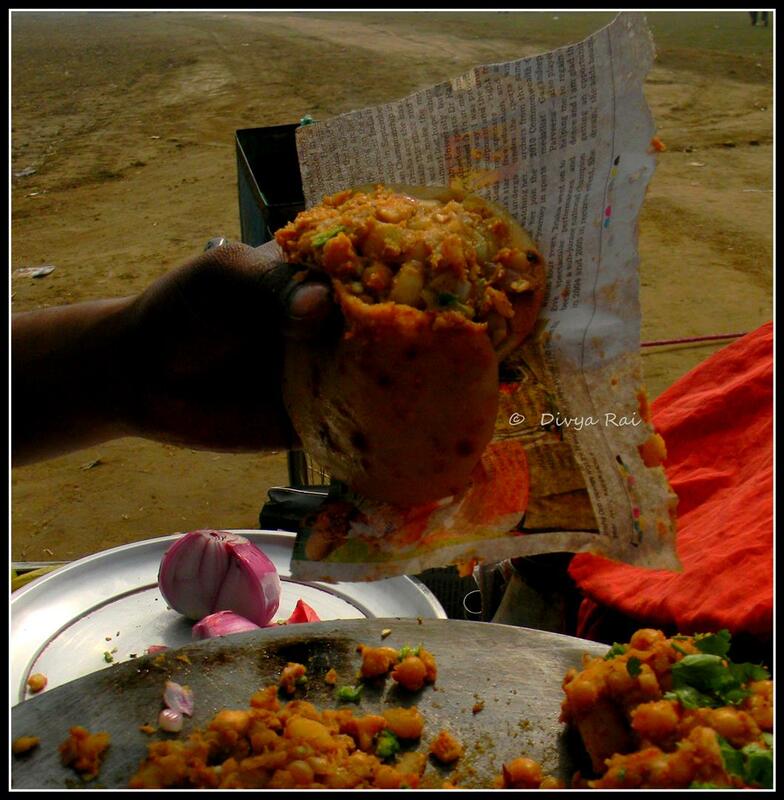 Here, the vendor is preparing the chholey-stuffing (customized, as per your needs). He mixes the boiled chholey with onion, spices, chilly and lemon juice. Once the stuffing is prepared, the kulcha is slit open. And the stuffing is filled inside the kulcha. The awesomeness is now ready to be enjoyed!! Sluurrpp! Mooh mein paani aa gaya Divya!! Wow that’s interesting! Never heard of this before.